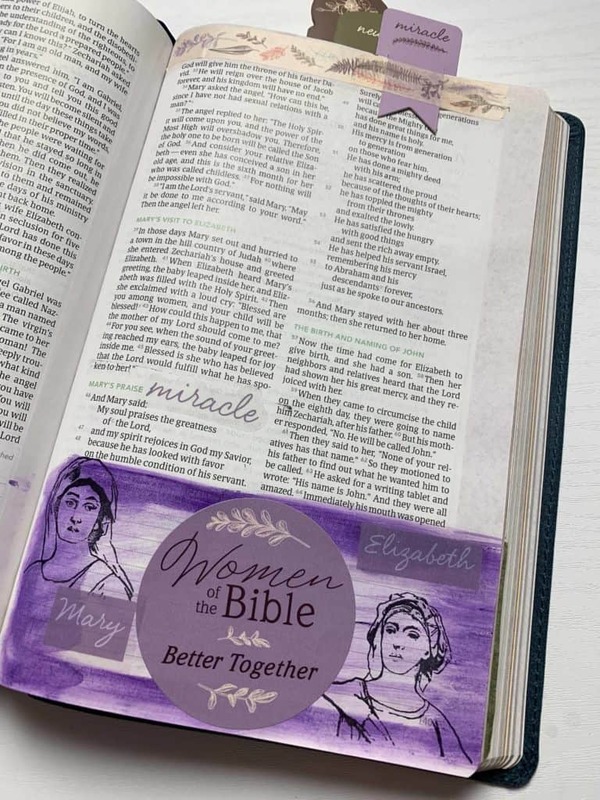 I was so excited to see the release of the Women of the Bible Better Together Bible Journaling Kit by DaySpring. It’s the first in a series of three. Be sure to scroll down to see the easy recipes I put together for this new kit! 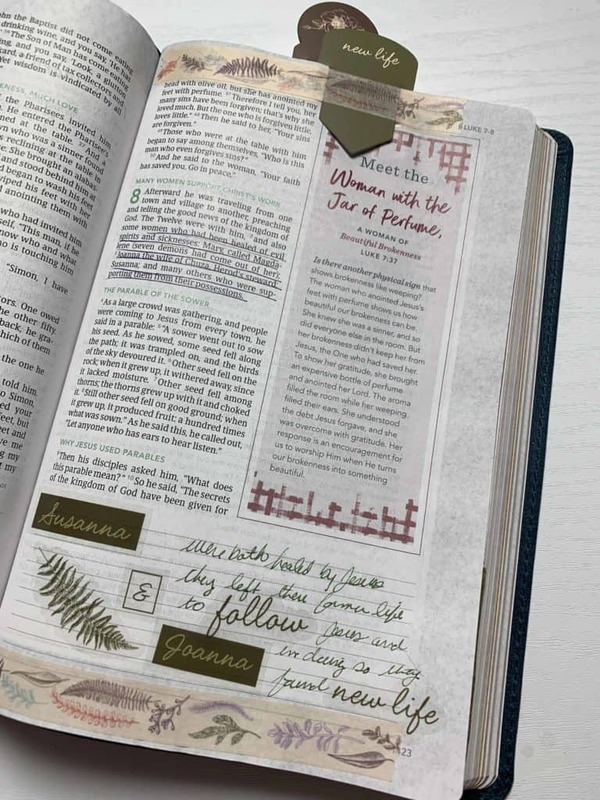 This month DaySpring launched their own Bible journaling kits and will be working with different authors to bring you more variety. 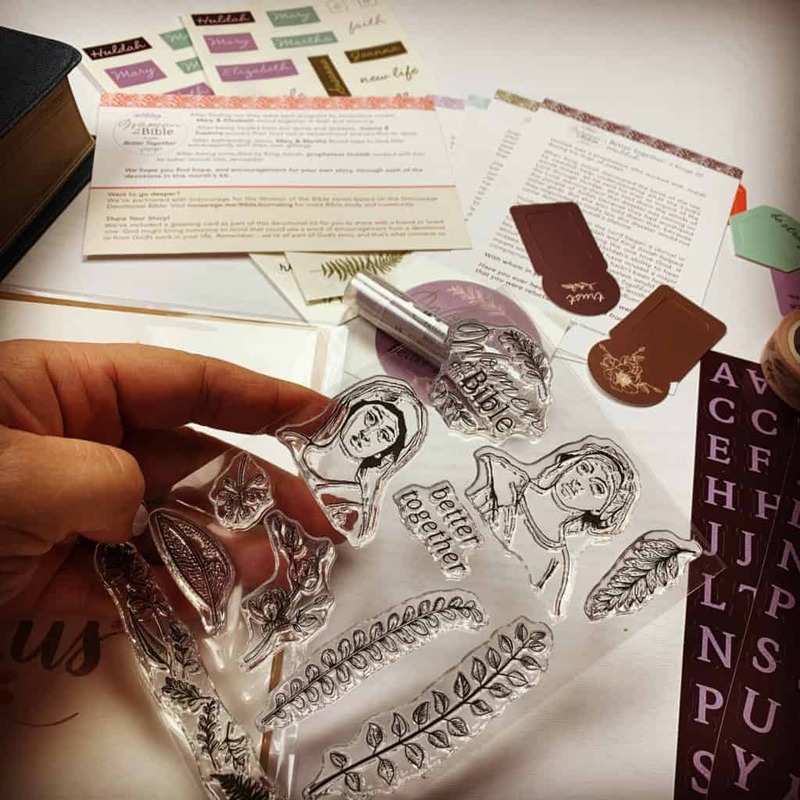 For the first kit, they worked with the makers of the (in) courage Devotional Bible. If you’re interested in purchasing this kit, please consider using our ministry affiliate link. It helps us out and doesn’t cost you more. you can purchase the kit here. Thank you! 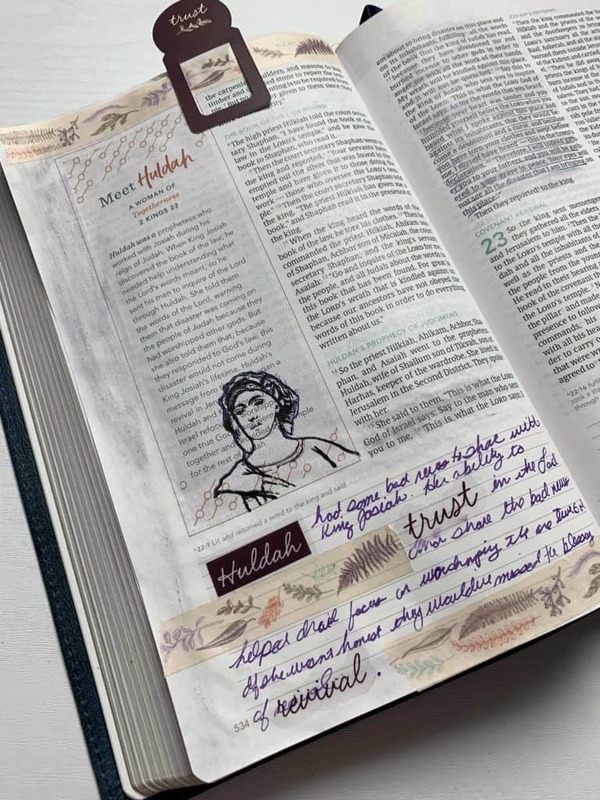 I’m excited just to share with you some of the fun things I did in the new In(Courage) Bible as I journaled through it. 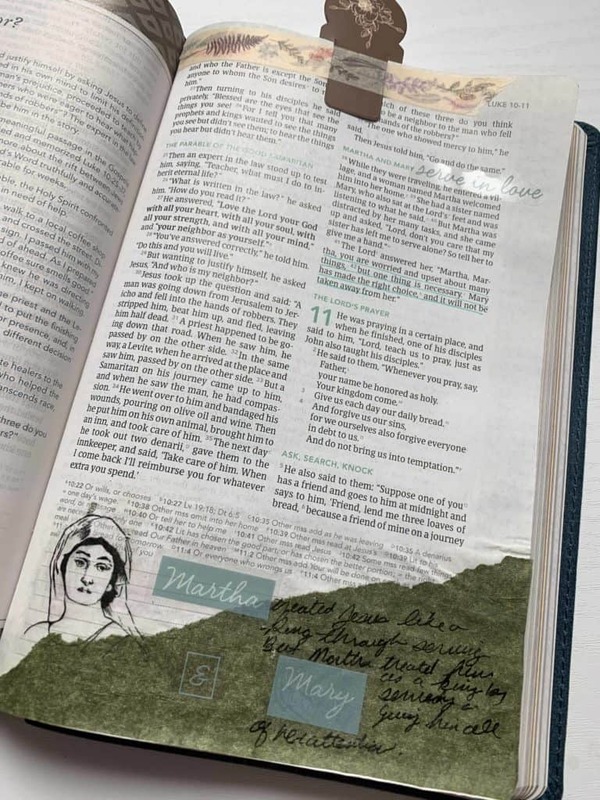 Bible journaling in a devotional Bible isn’t much different than in a Bible journaling Bible except instead of using a two-inch margin, you’re getting a bigger space at the bottom of the page. I spent between an hour and two hours playing with this kit. 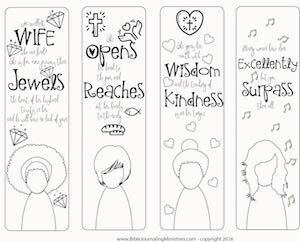 I did a lot more writing and diving deeper into the Word and really thinking about these beautiful women. The first entry I did was with Huldah and I loved her story. It really spoke of trust so I highlighted the word trust on the page. I used the stamp three times because I messed up. I’m surprised she looks as she does, but that’s what you get when you have a good quality stamp and the grit to keep on trying! I messed it up on the attempt and tried a second time. It didn’t get it as crisp as I wanted, but the third time finally worked. To fix the fuzzy lines, I used a purple micron pen and I just outlined it a little bit. If you ever double stamp an image and you’re not happy with it, don’t throw out your Bible. Go ahead and outline the double marks with your pen. And you should get something that looks pretty good. Stamp the image. Hopefully, you get a clear stamp the first time! Write in the journaling section and use the stickers in between the paragraph. I think they really pop on mine! Add the paperclip at the top and secured it with washi tape. When using paperclips make sure you washi tape first to protect your page. Otherwise, you increase the chance of tearing your page. Add a little more washi. Use the Gelatos to add a little color to your page. Apply it directly to the Bible and smear it with a baby wipe. No prep needed! A lot of times when you read the story of Mary and Martha, Martha gets poopooed a lot and Mary gets praise because Jesus praises her. He says, Mary has made the right choice and it will not be taken away from her. I liked how this devotional encouraged you to think of them as having separate roles to play. Instead of poo-pooing Martha, they shared how she was using her unique gift. Use the downloadable printable image and print it on tissue paper. Use 1-2 coats of clear gesso on the page and let both layers dry. Apply matte medium to your page and place down the image of the woman as well as the green tissue paper that comes with the kit. Apply stickers and do a bit of journaling. I love the fact that we got to dive deeper into Susanna and Joanna because they are mentioned in one sentence in the whole Bible. I’ve read the entire Bible, but I will tell you that I never gave them any thought. Doing this devotional really helped me to really think about them and how they supported Jesus with their possessions. They had a new life because of Him and their personal sacrifice. Read and underline the verse. Journal your thoughts using stickers as words. As I Bible journaled Mary and Elizabeth, I thought about how the birth of John and Jesus were miracles. Elizabeth was not young and Mary obviously conceived and in a way like nobody else is ever going to conceive again. I love how the devotional talked about their friendship and them growing closer together. It’s so important is to have friendships and mentors. Apply Gelatos along the edge of the page. Using a baby wipe smudge it towards the center and let dry. Stamp both images directly to the page. I use archival ink. Add the sticker in the middle. Add washi along the top. Place the bookmark at the top. 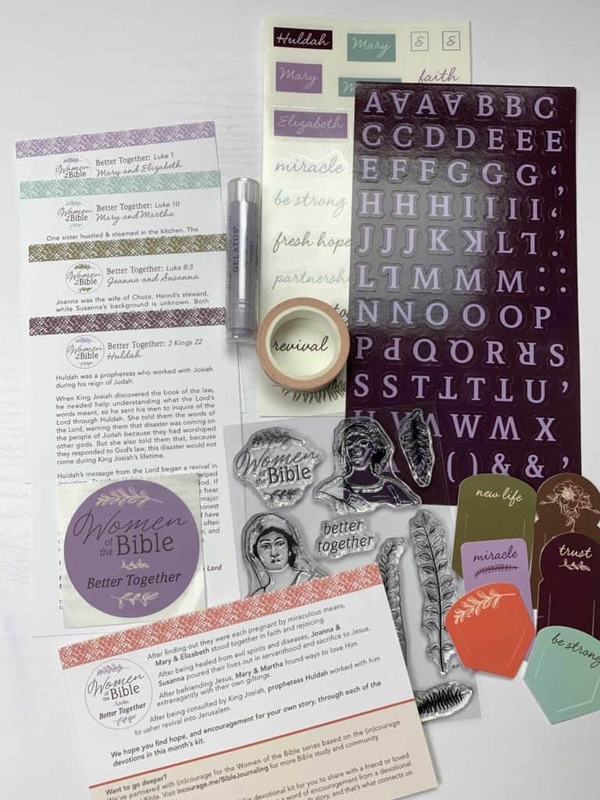 All in all I really enjoyed the new Women of the Bible Better Together Bible journaling kit by DaySpring. My favorite parts are the devotional and stamps. Those girls are just real if you know what I mean. Taking a closer look at Huldah, Joanna, and Suzanna was refreshing and I’m ecouraged by their stories. I hope you will be too!